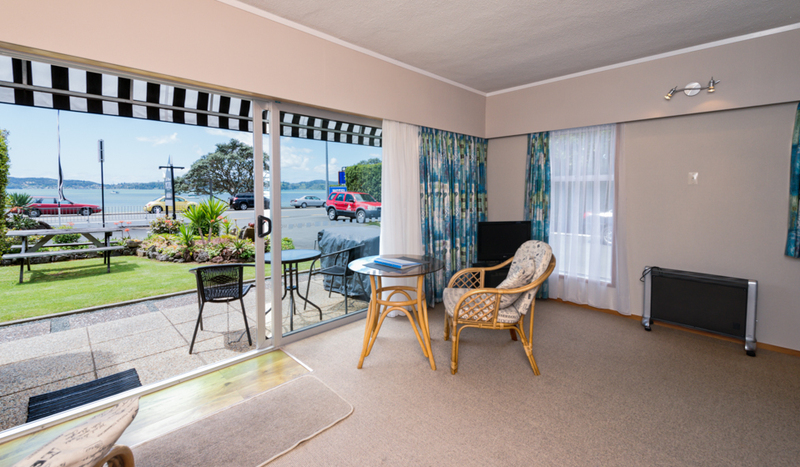 Self contained motel accommodation in the heart of the Paihia waterfront. 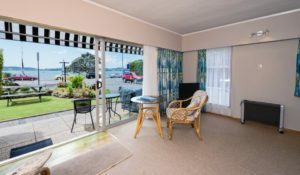 The most ‘sought after’ seaside location, just a short, level stroll to the shops & the top tourist attractions. Surrounded by restaurants & cafes, historical sites & walking tracks. A safe swimming beach is at the gate! Self contained, waterfront studio units, with stunning floor to ceiling sea views across to Russell & out towards some of the 144 islands that make up the Bay of Islands. 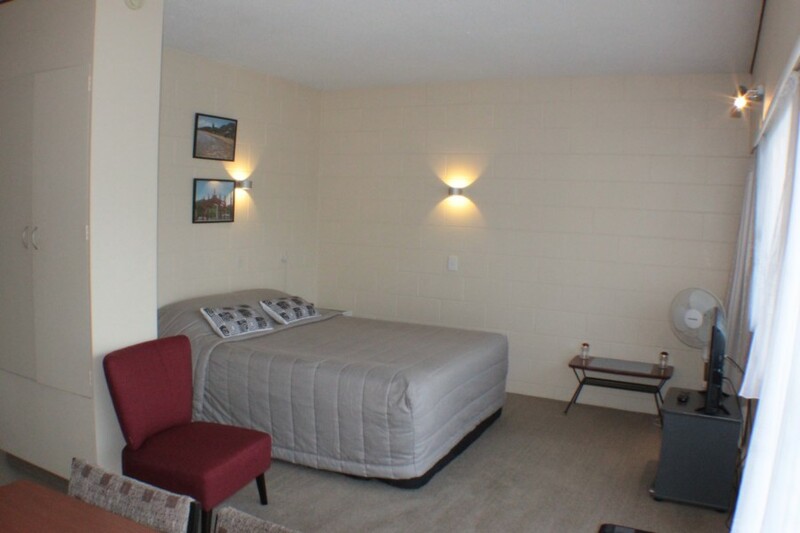 Spacious Queen or twin, 1-bedroom apartments, can sleep up to 5. 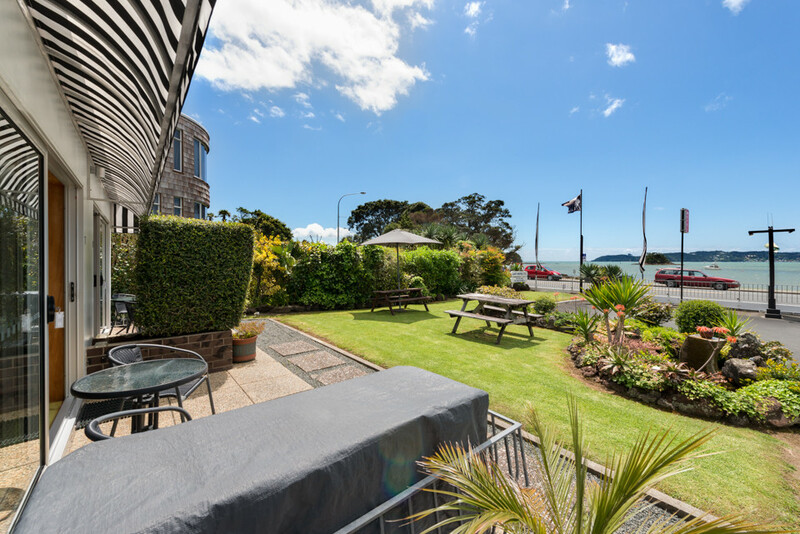 Refurbished, modern bathrooms & contemporary kitchens, with a generous open plan lounge & dining area, each apartment boasts its own patio with outdoor seating. 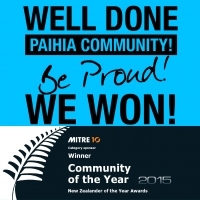 All accommodation is ground floor and well supplied for self-catering with many other amenities not normally expected. They are very spacious, quiet, clean, and strictly non-smoking. 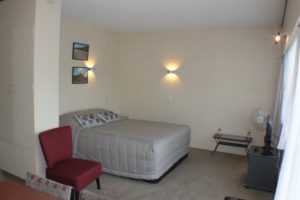 Ala-Moana Motel also offers convenient parking, Sky 50 Channel guest select TV, Wireless Internet, self help Laundry, Veranda with BBQ facilities, knowledgeable tour desk & friendly, obliging hosts – John and Anne. 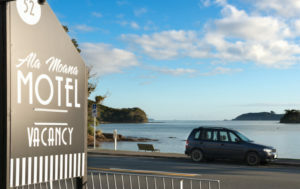 We are located on the waterfront at 52 Marsden Rd, Paihia.